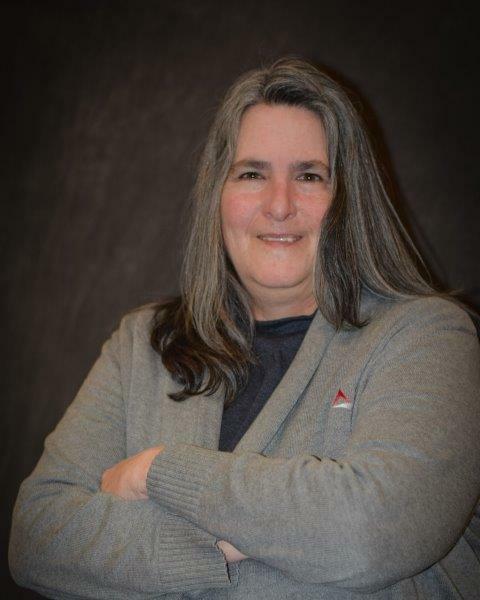 Welcome to a new installment of “Meet our Members.” It’s time to get to know another awesome member of our community: Meet Caryl. Caryl Ruckert became a WikiTreer in December of 2016. She participates in our Profile Improvement Project and is a Project Coordinator in both the US History and Scots-Irish and Ulster Scots projects. She also enjoys participating in the monthly Bio Builders Challenges. What are some of the surnames you are researching? Recently I have been working on Shaylor, Oakley, Taylor, Starbuck and Showalter. What are some of the locations you are researching? Benton County, Oregon; Nantucket Island, Massachusetts; Clermont County, Ohio; Salem, New Hampshire; Connecticut (many ancestors hail from here). When and how did you get interested in genealogy and family history? My maternal grandmother loved genealogy and family history. Her father and grandfather were meticulous recordkeepers. 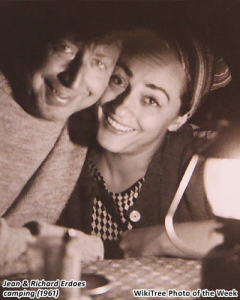 They kept scrapbooks that included photos and newspaper clippings of family members and they wrote journals. Her grandfather wrote a family history of his grandparents, aunts and uncles that has been passed down in the family for generations. She inspired me. Before the internet, she had her Buckingham family traced back to colonial Connecticut. My family (including Grandma) took a “roots trip” to Old Saybrook, Connecticut when I was twelve in the early 1970s. I have always had an interest in family history, but it is only about four years that I have been actively working on our family tree. Who’s your favorite ancestor and why? At the moment, I would pick my 4x great grandfather, Joseph Shaylor. I connected to him when I knocked down a brick wall for my maternal great grandmother. He was a revolutionary war officer who also was in commissioned in the first U.S. Army. He was a prolific letter writer and I found great sources and history about him. I thoroughly enjoyed researching him and building his profile. Tell us about a brick wall you were able to break down or one you hope to bust through. There are many brick walls in my father’s family. One that I was happy to knock down was my great great grandmother Rebecca Shaylor Wine this past summer. I didn’t know her last name at birth until I found a clue in the 1880 census that showed children with the last name of Turman living with her widowed husband. That lead me to find a court record from Bates County, Missouri in 1860 that named Ignatius Turman with Rebecca Shaler as being legally married and gave her father’s name as Thomas Shaylor. That lead me to the 1850 U.S. census that listed her in the household of her parents. I proved her father Thomas was the son of Joseph Shaylor by searching unindexed images of probate and will records at family search for hours. When I found his will, I did a happy dance! Finding her last name and parents added several family lines and generations to my tree. What are some of your interests outside of genealogy? I like to read. I enjoy spending time with my family. I am a devoted dog mom of three needy dogs. How long have you been on WikiTree and what do you spend the most time doing? If you’re involved in a project(s), tell us about how you participate in it. I have been a member of WikiTree for a little over two years. I am involved in projects. I am a project coordinator for the U.S. History project. I am also a project coordinator of the Scots-Irish and Ultser Scots project and I am currently working with another WikiTree member to improve and highlight the project. I am also a member of the Profile Improvement project and enjoy the monthly Bio Builders challenges. I was searching the internet for information on an ancestor and a WikiTree profile showed up in my search results. I went to the main page and it seemed like a perfect fit for me. I was right. I love it. What is your favorite thing about WikiTree, or which feature(s) do you like the most? 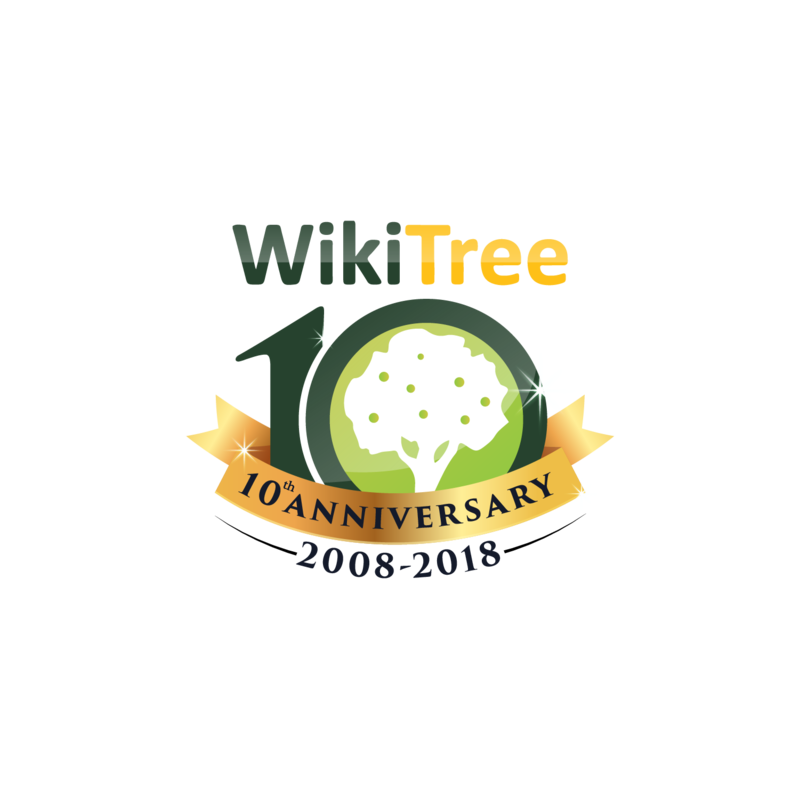 The one world tree and collaboration are my favorite things about WikiTree. I have connected with many cousins and made new friends. I enjoy the support and camaraderie of G2G too. If you could improve one thing about WikiTree, what would it be? I think that editing ancestor profiles can be overwhelming for some members. Any improvements to simplifying the interface would be great. For example, the new category drop down. Anything to make it easier to add sources. What is an example of how WikiTree has helped you with your genealogy or how you’ve helped genealogy with WikiTree? WikiTree has helped me in so many ways. I started my family tree at a subscription site and I really wasted so much time chasing wild geese. When I came to WikiTree a member reached out to me and provided me with excellent advice. She recommended Evidence Explained and showed me how to cite sources on profiles. The tools available and the members at WikiTree make me a better genealogist. Any tips for someone just starting out on WikiTree? Ask for help and take your time learning how to use the site. What a great interview cousin! I thoroughly enjoyed reading it! Hey, Caryl, Member of the Week, we’re cousins! Just wanted to say hello to a new found cousin, 13th, we share a 12th great-grandfather, Robert Bell. Great interview Caryl, 7th cousin once removed, through the Showalter family. Well. Interesting we are related through our Castleberry side of family. Our community forum flourishes thanks to friendly, knowledgable members who jump in to help with research and style questions and to get new WikiTreers acquainted with our site. This is also where discussions about changes that impact the site take place. Our projects are where members come together to collaborate about specific topics, ancestors and volunteer activities. We have functional projects such as Greeters and Mentors, One Name/Place Studies and geographical ones such as Irish or French Roots. If you have volunteered and signed the Honor Code here are things you can do right now to help grow our free collaborative tree and improve its accuracy. These include things like building biographies, sourcing profiles, becoming a data doctor, offering to do look-ups and sharing WikiTree love. Search our surname pages to see if you already have ancestors added to WikiTree. If so, contact the manager of their profiles! There's a good chance they might be a distant cousin. + more at the collaborative, worldwide WikiTree.